​Paris Saint-Germain striker Neymar is desperate to return to his former club Barcelona and will do whatever it takes to make the transfer happen. 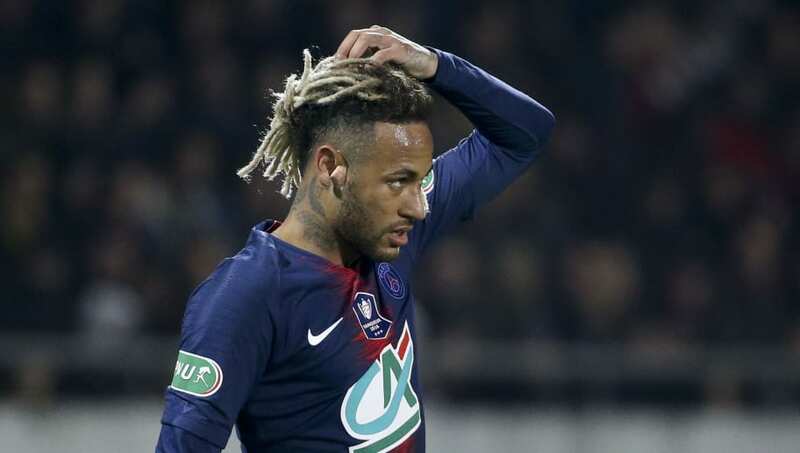 PSG paid a world record fee of £200m to sign Neymar from Barcelona in 2017, but despite enjoying great success in France, the 26-year-old has never really settled in Paris and reportedly wants to leave. ​Mundo Deportivo journalist Francesc Aguilar claims that three separate sources - one in Paris, one in Barcelona and one in Qatar - have told him that ​Neymar will 'move heaven and earth' to force a move back to his old hunting ground. Reports in Spain have claimed that Neymar's father has been in touch with ​Barcelona to discuss the potential transfer, but Ernesto Valverde played down the possibility earlier this week. "People tend to say big things about players at other clubs," said the Barcelona manager. "It's not a question of Neymar phoning...nobody has phoned me. News stories always appear in the Press. He's a PSG player and we respect PSG." However, Barcelona's sporting director Pep Segura admitted last year that Neymar could return to the Nou Camp one day if it was the right move for both parties. "All players who are in the market are likely to come if they fit our needs," said Segura. "Today, Neymar is not on the market. If one day there is a possibility, does anyone believe that a club like Barca does not have to consider it? In the case of Neymar and anyone, we must give our partners the best." Neymar's contract at PSG runs until 2022.